Have You Noticed This Behavior? It’s the rut. You’re sitting in your favorite November-time treestand. Expectations are high for a buck traveling through that pinch-point in front of you. And then you spot a big buck — hot on the heels of a doe — and they both disappear into a car-garage-sized thicket of cover in the middle of a cornfield. Weird, right? Why in the world would they do that? You’ve never seen deer bed down in there any other time during the season. Why now? It’s odd — even for November — when you see bucks (with does) in odd locations that you’ve never seen them before. It could confuse you. It might throw you for a loop. You might even be flabbergasted. But you shouldn’t be. Learn to expect, even predict, this type of behavior during the period where the bulk of the does are in estrous. Because it happens every year. You might also be befuddled why, during the rut, your neighbor seems to kill the deer you’ve been after all season long. You have all the food, water and cover. But he somehow manages to kill the big buck every year in that ½-acre thicket beside his house. You cuss and cry, but that doesn’t change anything. And it’ll likely keep happening, because mature rutting bucks habitually drive does to areas like this — especially in locations that are heavily populated, and patches of cover are separated by vast, expansive fields. But again, why does this happen? Several reasons. First, does typically try to find the thickest, nastiest cover they can find. They do this to get away from the harassing train of antlered animals chasing after them. They find shelter and a little bit of piece by finding these small shreds of sanctuary. Secondly, mature bucks know the game. They understand it won’t be long before numerous bucks are on the trail of their doe — especially if it’s one of the first to enter estrus. That’s why they drive them toward thicker cover in order to find seclusion from other bucks. Oftentimes, these small areas are away from the general deer population. 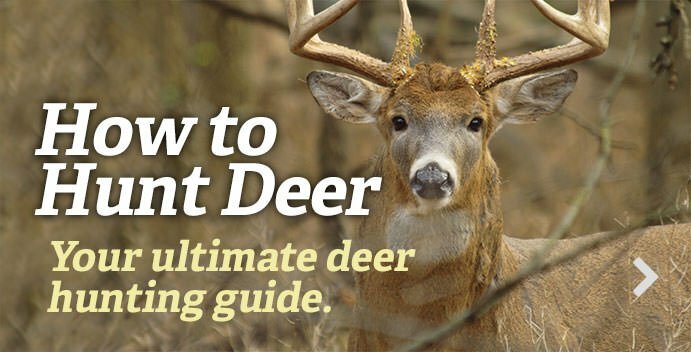 This allows bucks to have less competition from other deer. But these small oddball locations also give buck an advantage when defending their doe from other potential mates that vie for breeding rights. Having the doe corralled in a small patch of cover makes keeping an eye on her and fighting off other deer a little simpler. And lastly, mature bucks aren’t dumb. They understand that most hunters overlook these weird locations. That’s why they take up residence there with the does they tend during the rut. It’s not uncommon for mature bucks to push the two or three does they breed each season to the same location while she’s in estrus. Obviously, it doesn’t always happen that way. But it has. And it can. And multiple bucks will use the same spot to shack up, too. These little secluded areas become real hot spots during peak rut.